Don’t you want your advertisement to be displayed on websites with games, fun fiction and other irrelevant content? Unfortunately, the algorithms, with the help of which Google selects words, are not perfect, so without excluding these types of platforms they will eat all your ad budget and won’t bring you the desired result. How to quickly get rid of the low quality spot for the advertising placement? How to receive a list of spots for the advertising placement? In case you are only planning to launch the media advertisement and you want set up targeting for the manually selected spots with the help of the good old contextual media campaign planner you can get many variants of spots for ad placement. 1.1.1. 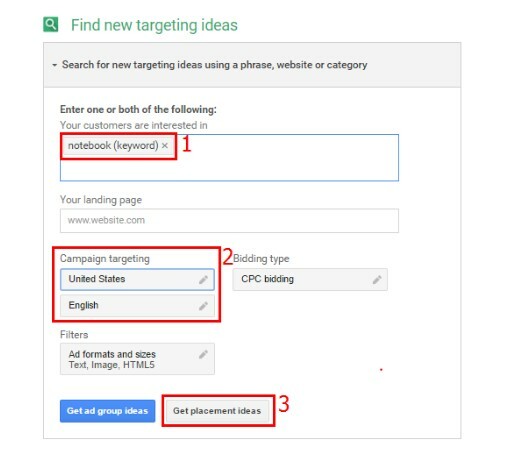 Everything is quite simple: type the needed keywords, set up geo targeting option and click on “Get placement ideas”. 1.1.2. 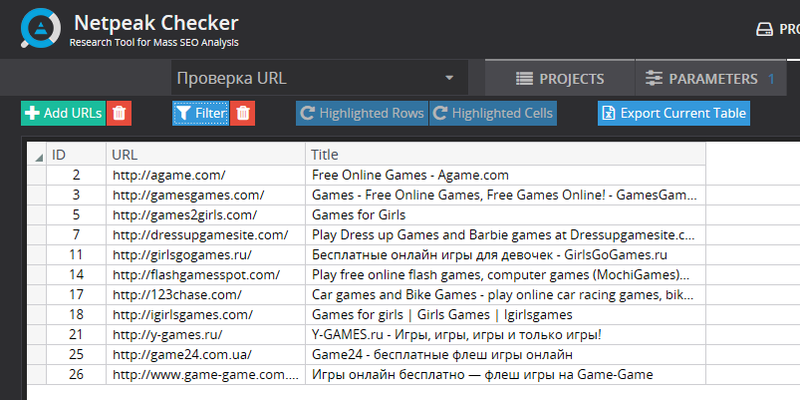 Go to the tab “Placements” in the window with selected results, then choose a “Sites” category. Press the downloading button and download data in CSV format. 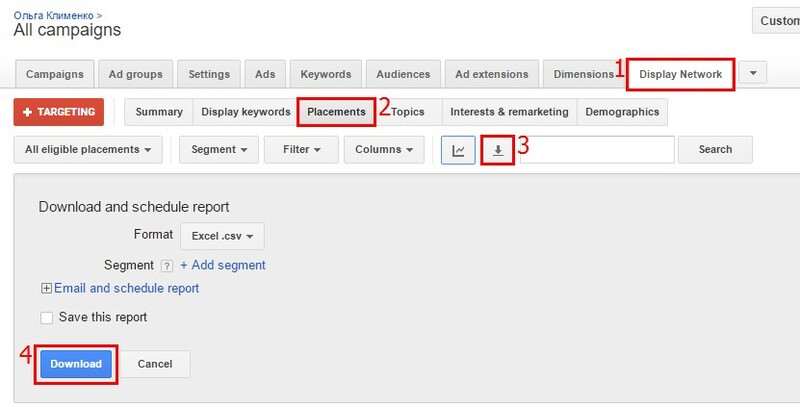 To analyse the platforms on which your advertisement has been shown, go to your Google AdWords account. On the “Display Network” choose the “Placements” subpoint. Then, click the download button and save the received file. 2. How to analyse platforms? Let’s go to directly to cleaning up the platforms. It is not always possible to identify the platform’s specification by the domain’s name, that is why for the top quality analysis it is necessary to import titles of the pages. 2.1. How to import titles with the help of Google Spreadsheets? 2.1.1. Open the list of previously downloaded platforms and us an “IMPORTXML” formula in a separate table. Thus, all headlines from the placement spots will be pulled up to the file. 2.1.2. With the help of text filter, it is possible to find and delete unnecessary or ineffective platforms. The current method is not always operating correctly: data can be transferred for too long or not appear at all. As you can see, despite the correct formula and format of the link, not all headlines of the pages have uploaded to the document. 2.2. How to quickly clean up the platforms with the help of Netpeak Checker? 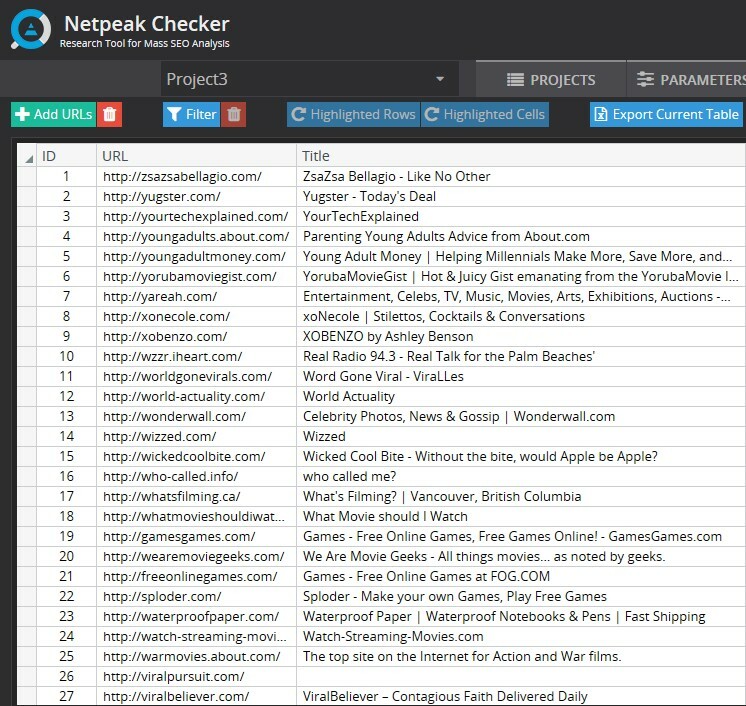 In case you want to upload headlines from all the sites and you want to do it fast, I recommend you to use Netpeak Checker—it took me nine minutes to operate with 2,000 contacts. 2.2.2. Choose the indicator needed for the analysis at the “Parameters” tab. In our case it is “On-Page”—”Title”. 2.2.3. Start the checking process clicking on a big green “Start” button. 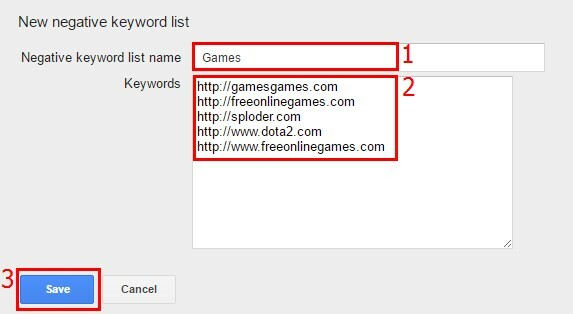 As a result, you’ll receive Titles of all pages. 2.2.4. Now you can filter the “bad” platforms out. 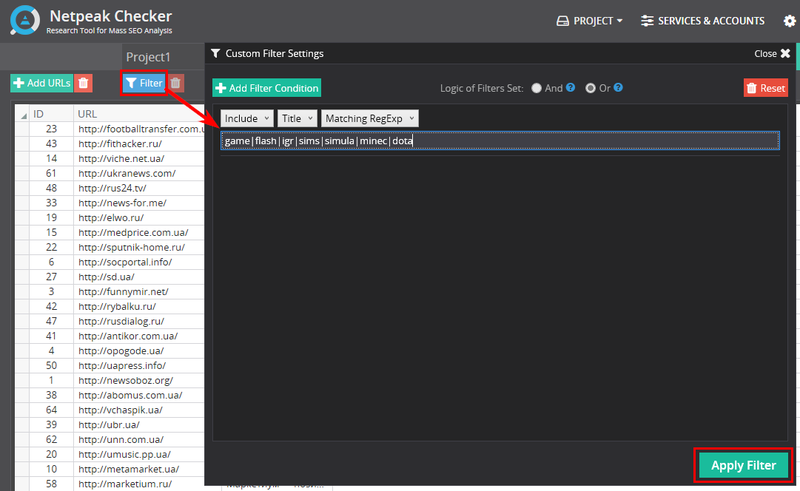 Click on the “Filter” button and enter a regular expression with potentially extra semantics, for example “game|flash|igr|sims|simula|minec|dota». 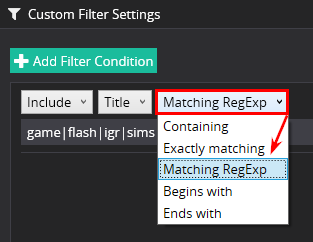 Pay attention that when filtering you have to choose the “Matching RegExp” conformity type. 2.2.5. We use filter and receive the list of platforms, displaying on which have to be excluded. All that’s left is to export the table into the Excel file. 3. How to exclude platforms? It is most suitable to use a general search for minus-platforms—you can use it for various advertising campaigns. 3.1. 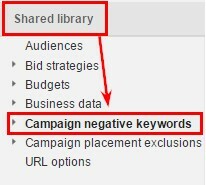 To create a list, go to the general library of AdWords interface and choose a point “Campaign negative keywords”. 3.2.Create a new list of excluded platforms. 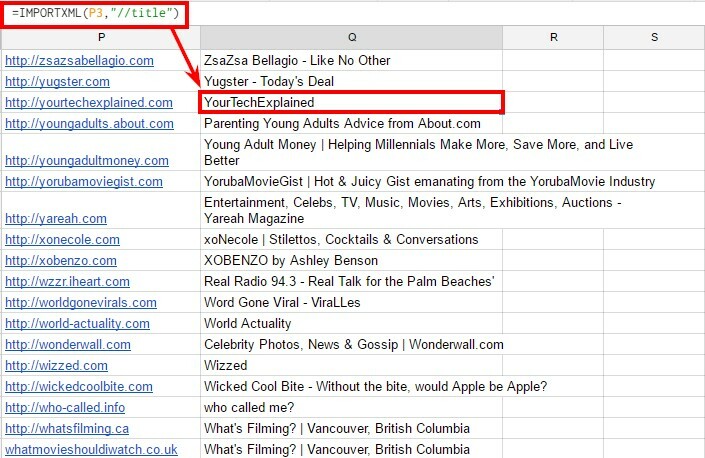 Give your list a name, copy it into the field “Advertising placement” and save changes. 3.3. Highlight the new list and apply it to the campaigns of display network. Download the platforms list from the “Campaigns planner in CMN” or active campaigns. Netpeak Checker (fast and useful). Filter out the irrelevant sites. Add a list of “minus-platforms”. You have to regularly check your advertising platforms and them your advertisement will be displayed only on the high quality websites. Interesting one! It's my pleasure to inform you about BetaPage (https://betapage.co/) it is a startup directory where you can discover, hunt and upvote on various innovative startups as per your choice.